Paper Stamp Scissors: Happy Valentine's Day! Hello everyone! I have been reading others' blogs for a while now, but always dismissed the idea of starting my own. Then I discovered all the challenge blogs out there and could not pass up the fun and creativity they offer. So, welcome to my first post ever on my shiny new blog. 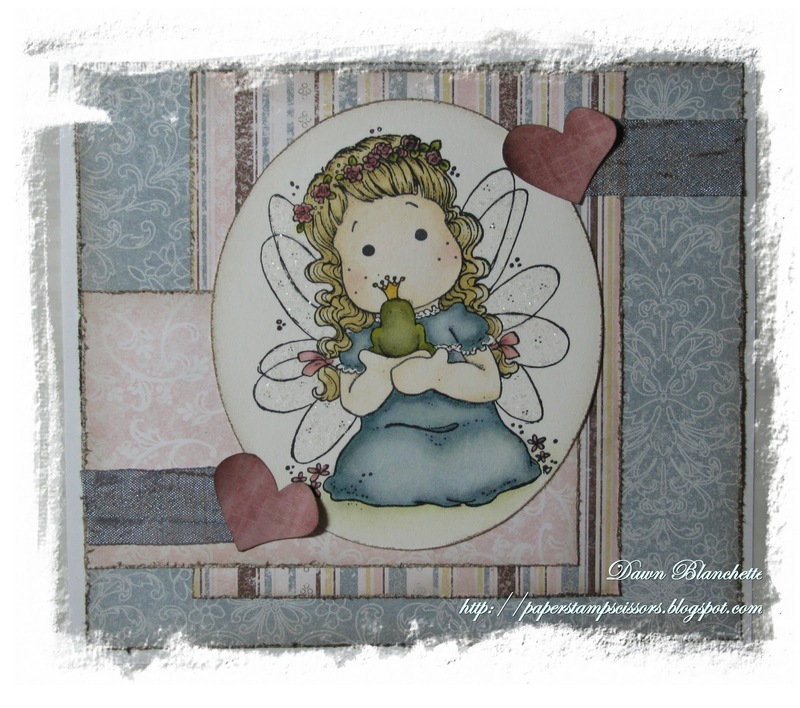 Today I have made a simple valentine's day card using Fairy Tale Tilda. Hope you like it! I just discovered these Magnolia stamps late last year and absolutely fell in love with the sweet little characters. Papers are from Stampin' Up and have been distressed and inked with Walnut Stain. Ribbon is from a local scrapbook store - I do not remember the brand or color name. Hearts are a fiskars punch. Thank you for the opportunity to play and good luck to all who are playing along! Thanks for joining us at Magnolia Down Under for the LOVE challenge! Awe, she is so pretty! What a lovely card! Am just LOVIN' this gorgeous creation - fabulous job! Love your fabulous card and welcome to blogland.